The Southern Partisan brings you this voter information. I do not want Confederates to vote for my party of choice, I want my party of choice, as well as all opposition parties and Independents, to vote Confederate! This is a line from a speech I have given on the necessity of us engaging in ISSUE politics. We should ask, as I do, every Republican candidate whether he or she is a Thomas Jefferson Republican or a Lincoln Republican(Jefferson���s party was the Democrat-Republican party, known by historians as Republican). Ask every Republican has he or she read Lincoln���s First Inaugural and if not, give excerpts. Ask every Democrat if he or she is a Jefferson Davis Democrat or a modern Democrat. If we take the charge of Steve D. Lee serious, and we should, we need to let them know what it takes for our support. They are asking us for the job. Read and pass on to your email list. I have no purpose, directly or indirectly, to interfere with the institution of slavery in the States where it exists. I believe I have no lawful right to do so, and I have no inclination to do so. In doing this there needs to be no bloodshed or violence, and there shall be none unless it be forced upon the national authority. The power confided to me will be used to hold, occupy, and possess the property and places belonging to the Government and to collect the duties and imposts; but beyond what may be necessary for these objects, there will be no invasion, no using of force against or among the people anywhere. I understand a proposed amendment to the Constitution���which amendment, however, I have not seen���has passed Congress, to the effect that the Federal Government shall never interfere with the domestic institutions of the States, including that of persons held to service. To avoid misconstruction of what I have said, I depart from my purpose not to speak of particular amendments so far as to say that, holding such a provision to now be implied constitutional law, I have no objection to its being made express and irrevocable. * See at end * Corwin Amendment referred to by Lincoln in his speech. No amendment shall be made to the Constitution which will authorize or give to Congress the power to abolish or interfere, within any State, with the domestic institutions thereof, including that of persons held to labor or service by the laws of said State. 2. Both Union and Confederacy began the war volunteers, but after a year the Confederates instituted a draft, and less than another year later the Union did the same. Under the terms of the Union conscription law, by paying a set fee a Northerner could escape service. How much ? 4. After 22 months at sea seizing Union merchant vessels, the Confederate raider Alabama was finally done in by the U.S.S. Kearsarge. Where was the fatal battle ? Former Senator George Allen did not make the list due to his ant-southern comments he made when he was previously in office. 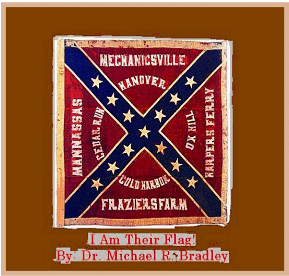 Virginia Confederates were angered and many were reported to have voted for the Democrat alternative who made pro confederate comments at the time. Senator Dave Thomas is very deserving of southern support as he has sponsored resolutions honoring Confederate heroes and other related resolutions. Chris Sullivan, previous SCV Commander also makes the list, Sullivan has for years published Southern Partisan, a Confederate magazine. The below reflect those who would favor the southern viewpoints, not the yankee perspective. Phil Bryant, candidate for Governor, is a member of the SCV. Rep. Jim Ellington, Raymond, House District 73. Rep. Harvey Fillingane, House District 101. Rep. Toby Barker, House District 102. Check back for more local recommendations. Louisiana Election Primary - October 22, 2011. The below candidates are recommended as they respect our Confederate flag and believe we should respectively be proud of our southern heritage and not be ashamed of it. the below candidates have been evaluated on related issues like states rights and the belief of the enforcement of the 10th Amendment of the Constitution. West Virginia Governor Election, Clark Barnes recommended conservative of WV. Read more about Clark Barnes for Governor of WV. Please forward this to all Southern and church friends in Kentucky or West Virginia. 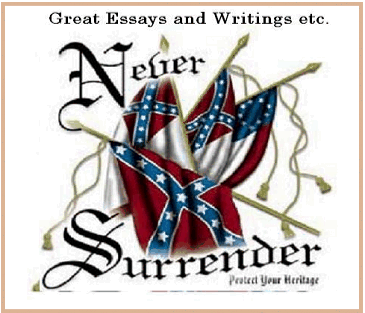 Sign the States' Rights, Secession, and Big Government Petition HERE! As our ancestors in the past had to defend out states rights from an oppressive federal government, we do must defend our selves in the name of states rights. We need to be familar with the gun control debate. Ron Paul is an honorary member of the Sons of Confederate Veterans. Lastly, and most importantly, why did NORTHERN States outlaw slavery only AFTER the war was over? The so-called "Emancipation Proclamation" of Lincoln only gave freedom to slaves in the SOUTH! NOT in the North! This peck sniffery even went so far as to find the state of Delaware rejecting the 13th Amendment in December of 1865 and did not ratify it (13th Amendment / free the slaves) until 1901!